If your'e looking for Wedding Car Hire Gillingham, Kent areas and beyond, look no further than Choice Wedding Cars. 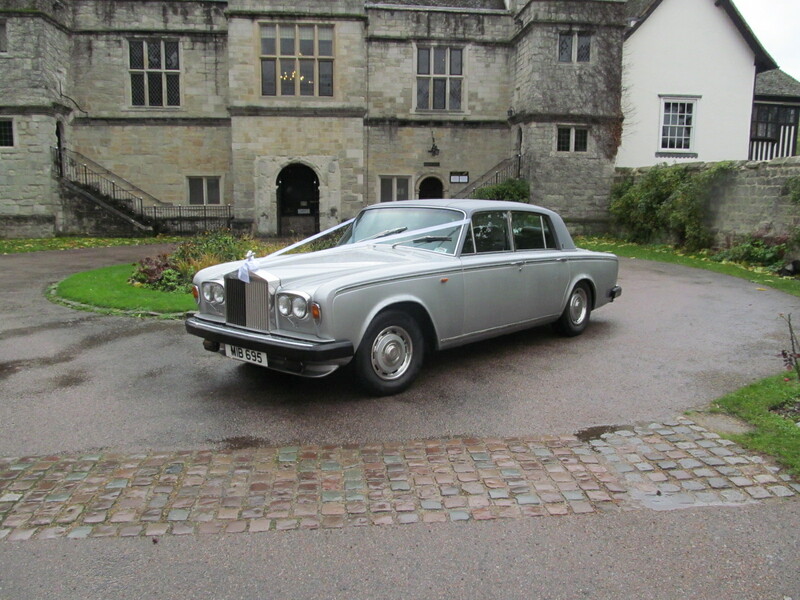 Choice Wedding cars are one of Kent's leading wedding car hire companies. We provide a range of classic wedding cars for hire in Gillingham, Kent and throughout the Medway towns at affordable prices. Choice Wedding Cars selection of vehicles have been specially chosen to give you a choice of some of the finest luxury and vintage wedding cars ever built. Make The Best Choice For Your Dream Wedding? With over twenty years of Wedding transportation experience, we have studied first hand what means most to you on your wedding day. This attention to detail has grown our business to the success it is today. We can also proudly boast that all our wedding cars are authentic vintage NOT replicas as so many wedding car companies use today. Our Wedding cars are unquestionably beautiful, in the highest condition and are sure to give your wedding photo's the wow factor you have been visualising. When your chauffeur driven wedding vehicle arrives with you, your wedding car will look at it best, all of our cars are completely valeted and gleaming before every event. Your driver will be fully uniformed, and more importantly, we will be on time! At Choice Wedding Cars we believe in doing our job in a professional, friendly, and efficient fashion, to help to ensure your special day goes smoothly and as planned. All Wedding cars are polished to perfection, with colour themed ribbons & bows and decorative flowers to match your chosen colour schemes. Fantastic Classic Wedding Cars, Refurbished to the Highest Standards.! 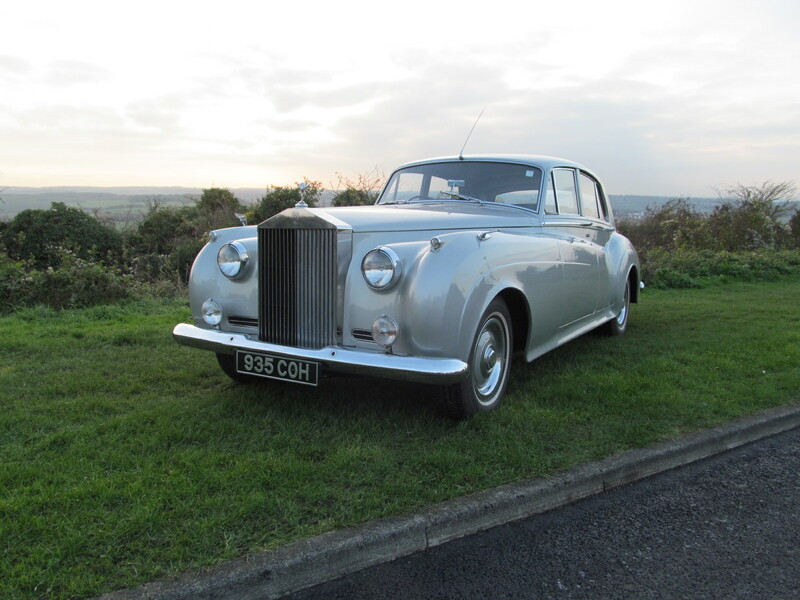 Gillingham, Kent Wedding Car Hire. You will be glad you picked Choice Wedding Cars for your wedding Car hire in Gillingham, Kent as we also give every happy couple complimentary champagne on their magical journey to celebrate the occasion with their loved ones at the wedding reception. 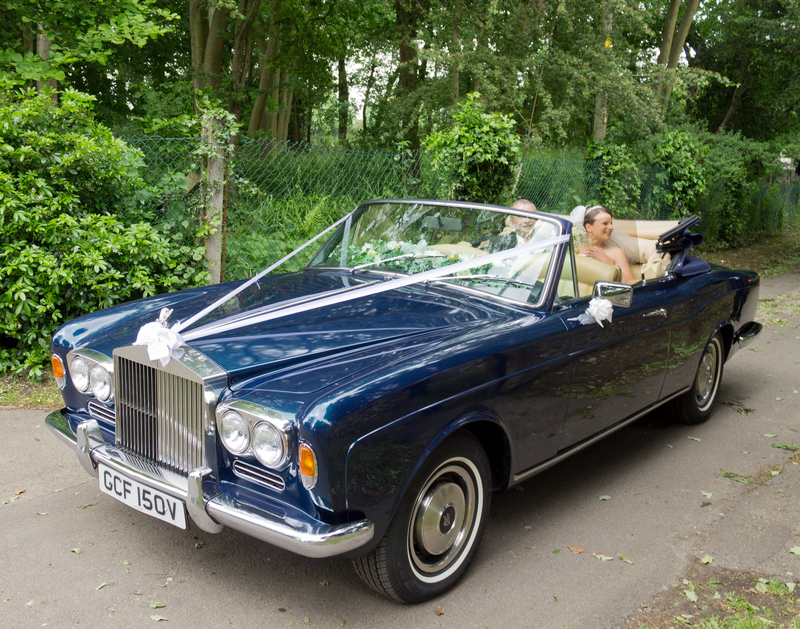 At Choice Wedding Cars we take pride in delivering a touch of elegance to your wedding car hire in Gillingham, Kent. From our central base in the Medway Towns we are ideally located to provide our vintage and luxury car hire service throughout Medway. Kent and the surrounding counties. Each Wedding car is available for hire individually for special occasions such as children's birthdays, anniversaries or of course a full wedding package. At Choice Wedding Cars, our wedding car hire packages in Gillingham, Kent are tailor-made to suit your personal demands. 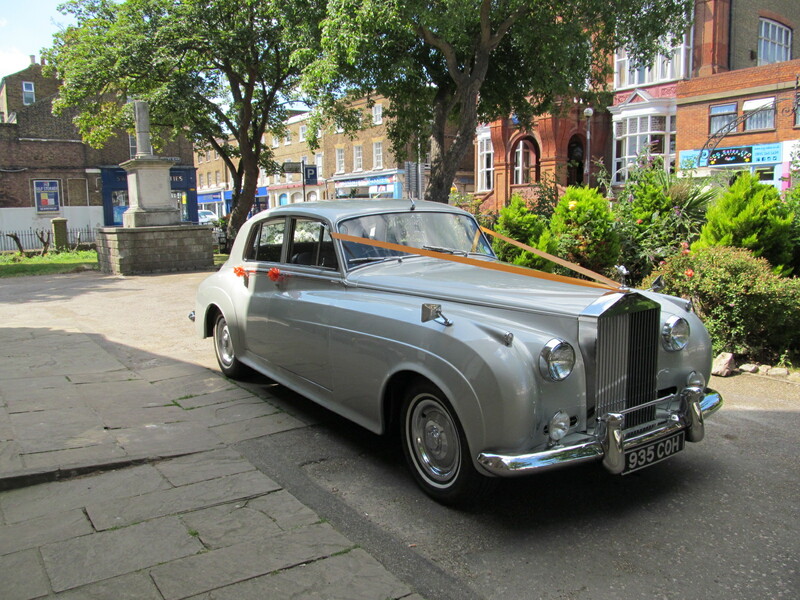 Rolls Royce Wedding Car Hire Gillingham, Start The Rest Of Your Life Off In Style. A Rolls Royce wedding car is a bride to be's dream. Your wedding day is the most meaningful day of your life and to guarantee your wedding day is as perfect as you had imagined your choice of wedding car is crucial. For the most unforgettable encounter on your wedding day choose a Choice Wedding Cars chauffeur-driven Rolls Royce wedding car. 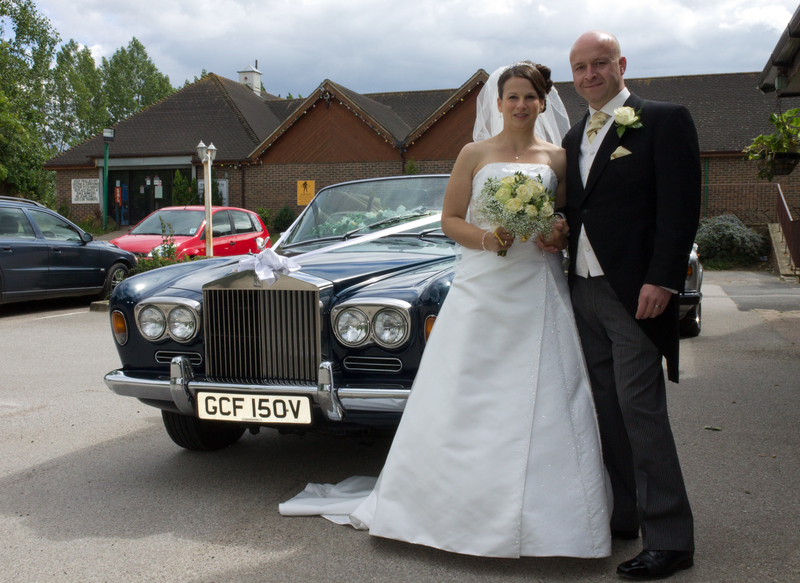 Choice Wedding Cars has three superb Rolls-Royce Models for you to pick from on your wedding day; the Rolls Royce Silver Cloud, the Rolls Royce Silver Shadow or the Rolls Royce Corniche. For large wedding parties group company, Choice Wedding Cars also provide an executive Jaguar for the extended family also to travel in style. Please take a moment to look at our beautiful classic wedding cars that will make your wedding day even more special. 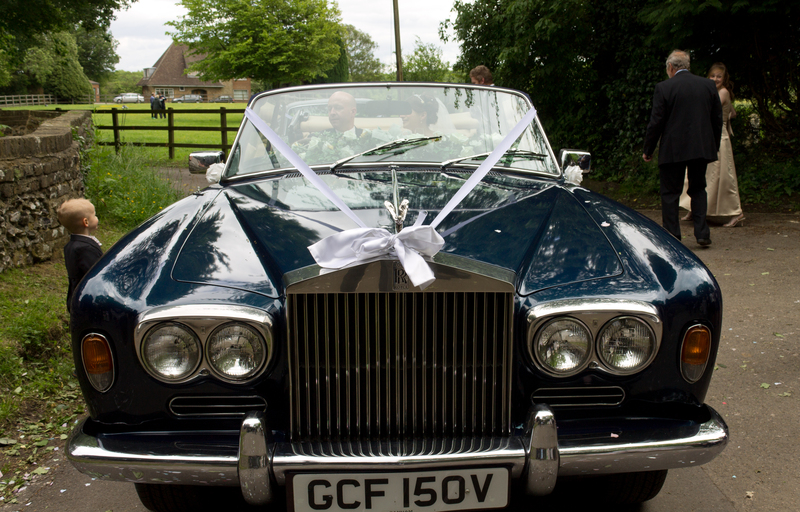 Your choice of wedding car hire can be selected from our classic Rolls Royce’s and Jaguars. Real Reviews, Real Service. 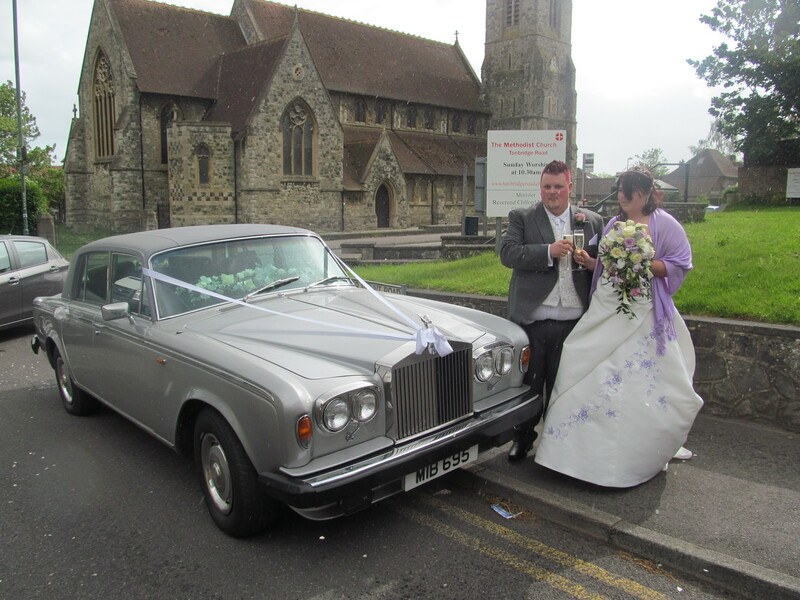 Real People, Choice Wedding Car Hire Gillingham, Kent. We know what it’s like to need support with wedding car hire Gillingham, Kent. Our entire philosophy is to treat you as we would like to be treated on our special day. With our friendly and experienced wedding car hire team at your beck and call , it's no wonder that some of our best reviews are about our amazing levels of service. We have a selection of magnificent cars to suit every taste and pocket. We know everyone wants excellent service. Our philosophy is to treat you as we would like to be treated. 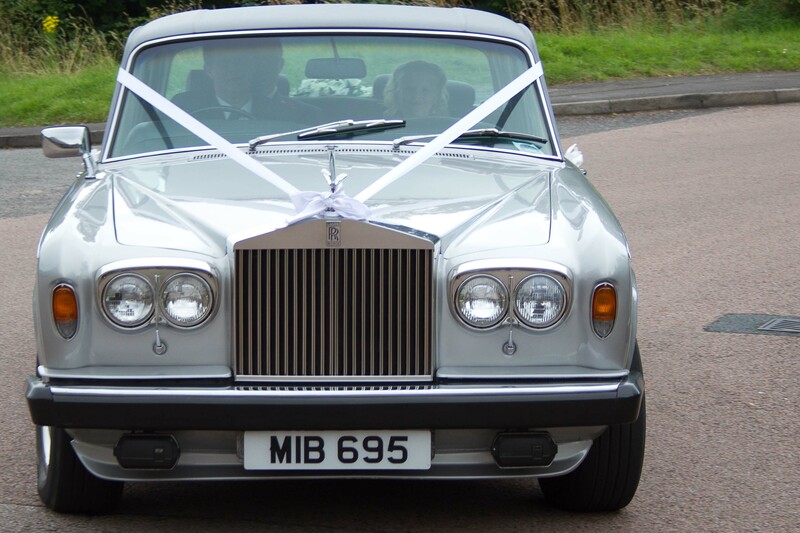 All our wedding cars are genuine vintage NOT replicas as so many wedding car company's use today. They are absolutely beautiful and in the highest condition. Choice cars have the right car for any important occasion. Make the right choice for you're Wedding Car Hire Gillingham, Kent. 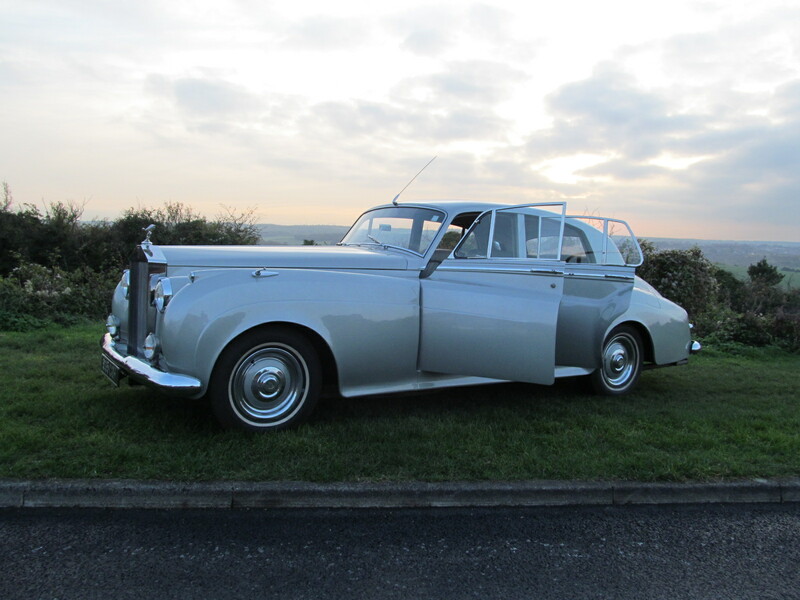 We have a luxurious collection of Vintage, and Classic Wedding Cars ensuring your arrive in style on your big day. Make the Right Choice, Join Two Decades+ Of Happy Couples! CONTACT CHOICE WEDDING CARS TODAY!